This boost driver (input voltage is lower than output voltage) can drive 6V LEDs, such as the XHP50.2/70.2 from a single rechargeable lithium-ion battery at an output current of up to 4.2A, as well as a 12V LED, such as the XHP35, at up to around 2.3A. 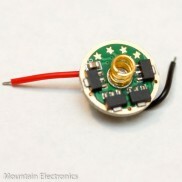 The MTN-BST3 uses a highly efficient synchronous boost converter squeezed onto a small 20mm PCB. This driver can achieve a wide dimming range and utilize popular firmwares, including both clicky & momentary firmware. This driver takes up to 10 business days to be built, tested, and shipped. Your order will not ship until the driver is completed. 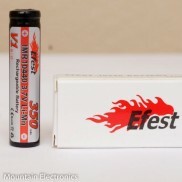 In stock form, this driver will pull just over 10A peak current, therefore a 10A+ continuous rated battery is required (unless you reduce the input current limit). The more voltage the battery can hold under load, the better the driver will perform. Your switch, springs, etc. must be able to handle the 10A+ input current; this means that you must have high performance or bypassed springs in your light. This driver may be hard on your switch due to the high continuous current. The driver must be soldered into the pill or held firmly in place with a retaining ring. This is required both for adequate thermal and electrical performance. If during use the light turns off and on, the driver is overheating and needs to be switched to a lower mode or turned off and allowed to cool. Continued operation at excessively high temperature will damage the driver (damage from excessive temperature will not be covered under warranty). ONLY 1S - 4.2V MAXIMUM INPUT VOLTAGE AVAILABLE DURING THIS FIRST RUN OF DRIVERS. If you are running any battery, switch, or host that is not capable of 10A+ continuous discharge current, you must change the input current limit to a lower value. ONLY 10.5A AVAILABLE DURING THIS FIRST RUN OF DRIVERS. OTHER OPTIONS WILL BE AVAILABLE IN LATER RUNS. 6V Nominal: For 6V XHP50/50.2, 6V XHP70/70.2 & 6V MT-G2. 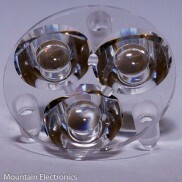 Can also be used for other 2S2P 3V LED configurations. 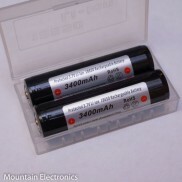 12V Nominal: For XHP35/XHP35 HI, 12V XHP50/50.2 &12V XHP70/70.2. 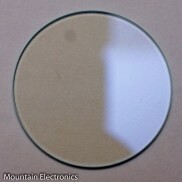 Can also be used for other 4S 3V LED configurations. 1. guppy3drv (click for more information).